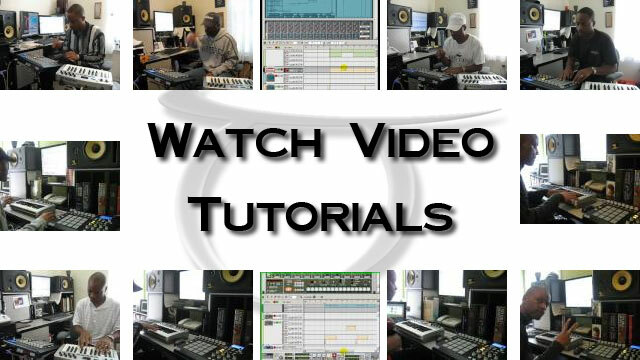 Rep The King Sample Flip Beat Video; How To Make Beats with Propellerhead Reason Video Series. TaurusBeats shows How To Flip A Sample with Akai MPD32 and Propellerhead Reason making the beat Rep The King. Watch me make a Sample Flip Beat using Propellerhead Reason Akai MPD32 USB/MIDI hardware control surface and the M-Audio Oxygen8 USB/MIDI keyboard controller. In this video, I'm making the sample flip beat using Propellerhead Reason. Rep The King features a sample from Nancy Wilson. This sampled hip-hop beat was done in Propellerheads Reason 4.01, using the Akai MPD32 USB/MIDI controller. If you want to make a Hip-Hop beat or instrumental music with a sample flip, you can use Propellerhead's Recycle and Reason 4.01, the Akai MPD32 USB/MIDI hardware control surface and the M-Audio Oxygen8 v2 USB/MIDI keyboard control surface to get the job done. In this video series, I'm showcasing another one of my Moody instruMental Music creations - "Rep The King" - a Hip-Hop sample flip beat I made using Propellerhead Reason. I show you how I choose and slice my sample using Propellerhead ReCycle and then move into using Reason with the MPD32 to flip the sample into various patterns to use in the beat. I also show you how I add various instrument parts to develop the final track. You can get a lot more tips by viewing the other videos in this 5-part series.